When you walk into a Staples, you can find your printers, your extra-thick card stock and now, your coworking space. Workbar at Staples is officially up and running at its first three locations throughout Massachusetts: Brighton, Danvers and Norwood. We checked out the new Workbar space inside the Brighton location, which is fittingly the first Staples store to have ever opened. 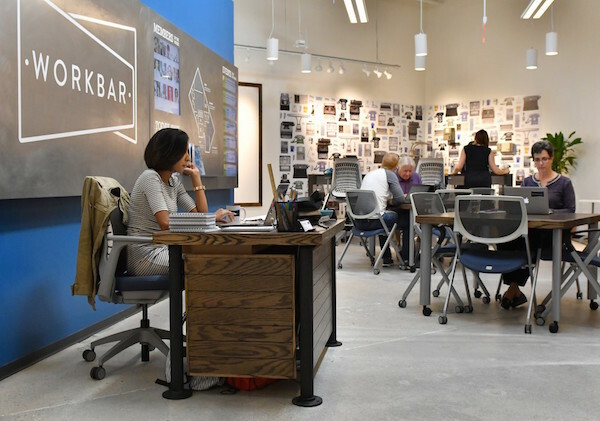 And one thing was apparent: When you walk into the store, the 3,500-square-foot box where the coworking space is located piques your interest and draws you in. This is an excerpt only from this full article posted on bostinno.com. Oct 12 New From Target And Dwell: Chic, Modern Furniture For $400 Or Less Sep 30 West Elm to Launch Its Own Boutique Hotels Jun 21 Office Space — Inside a Gym?